Improved display features, bigger screen and higher resolution leads iPad to be one of the most popular devices to watch videos and also enjoy music, while the portability of iPad allows you to play video audio music whether you're on the bus, in the bedroom or even on the beach. But two problems you should face when playing video/music on iPad: limited space and incompatible file formats. 64GB isn't enough if you want to store all your media collections on PC/Mac hard drive to iPad. What's more, if files on your hard drive are unplayable on iPad, converting them into .mp4 or other iPad friendly files with a video converter is really time and effort consuming. Wouldn't it be sweeter if we can enjoy video audio music on iPad immediately by eliminating space and file formats troubles? There's an iPad app for that! Digiarty's Air Playit is an iPad app for streaming video audio music. The magic is, all the media files stored on hard drive can be easily streamed to your iPad with this iPad video music streaming app as long as Wi-Fi, 3G/4G network are available. Besides, it can stream any video/audio format like MKV, AVI, FLV, WMV, M2TS, TS, MP4, AAC, AIFF, WAV, MP3 to iPad on the fly, no need of pre-converting and iTunes syncing. It seems that file formats won't be a problem any more. How to Use this iPad App to Stream Video Audio Music to iPad? 1. 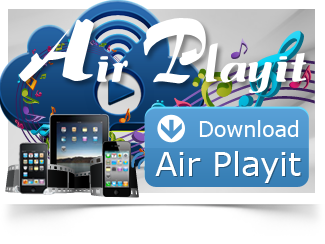 Download and install Air Playit server on PC/Mac. 2. Download and install iPad app for streaming video audio music. 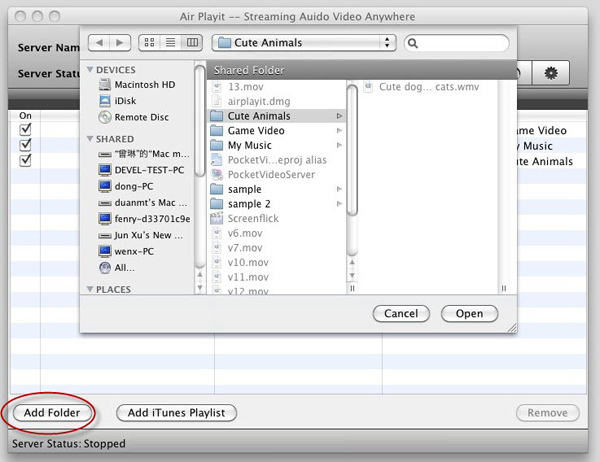 Step one: Launch Air Playit server and click "Add Folder" to add video audio music files to "Shared Folders. Tips: You need to add files under the "Shared Folder" on Windows OS, and under "Sharing Folder" on Mac OS. Step Two: Run this iPad video music streaming app and add your computer to the server list. Air Playit will automatically discover the server via Apple Bonjour service. Or you can add remote server by specifying IP address. Step Three: Choose one file and click "Play" button. You can enjoy any video audio music instantly without format converting or iTunes syncing. Besides, Air Playit is also an iPhone app for streaming video audio music to iPhone. So with this iPad iPhone app, your entertainment life will be more colorful. WinX DVD Ripper Platinum can rip DVD to digital formats like MP4, H.264, AVI, WMV, MOV etc., backup DVD to a single MPEG2 file with no video/udio qulity sacrifice on Windows (10) PC/Mac. So that you can stream DVD movie to iPhone/iPad/TV with Air Playit perfectly. Air Playit is an amazing iPhone app that can easily access your computer's video audio library, streaming video to iPhone from selected folders. Best of all, it handles MKV, AVI, DivX, MOV, FLV, MP3, AIFF, WAV, AAC and more. Want to put the video stored on your computer on iPad? You have to turn to iTunes to sync the video. 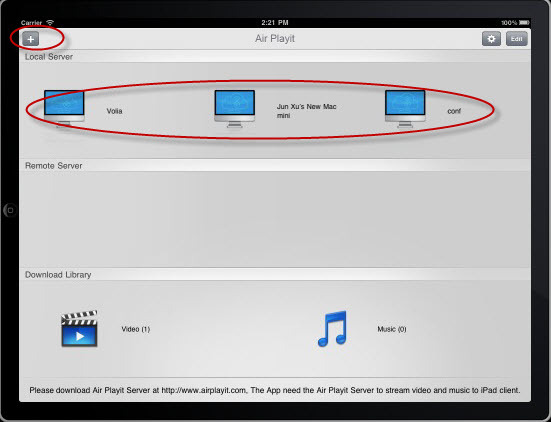 But Air Playit helps you stream video in any format to iPad/2 so that you can watch your favorite videos on your iPad anywhere. While you are intoxicated by the new features of iPad 3 such as superlative retina display, quad-core graphics A5X processor and 5 megapixel iSight camera, a free personal audio video cloud for the new iPad 3 can further facilitate your music movie enjoyment.